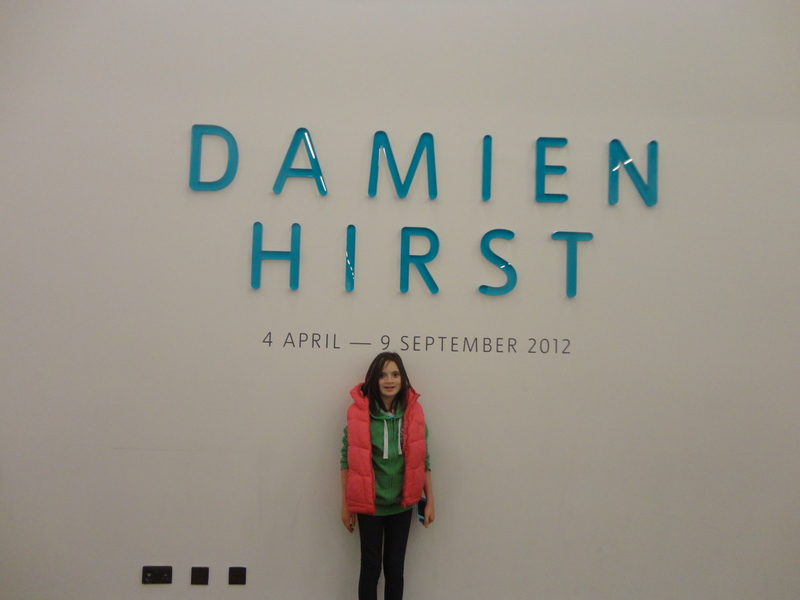 The way that I found about the new Damien Hirst exhibition was about 4 weeks ago when I saw the Tate exhibition on a documentary. I already knew about him but this got me more interested in him. On Saturday, my mom and I got to go to the exhibition – I was jumping for joy! The exhibition fills 14 rooms over one floor except for one special piece. When we went in there was a lot of people and the first thing I saw was the hair dryer pushing up the golf ball [What Goes Up Must Come Down, 1994]. But I didn’t care about that because I went right to Dead Head [With Dead Head, 1991] which is a picture of Damien with a dead head. Damien didn’t kill the man – I think the man donated his body to science but a lot of people still thought it was wrong. I didn’t. I wanted to see the Butterfly room, Diamond Skull, and the A Thousand Years which I saw on the documentary which they all looked amazing to me !!!!! When I saw A Thousand Years, 1990 exhibition at first I thought it was bloody and gruesome but then when you properly look, you can notice the eye lashes on the cows head and then you notice the flies. Normally when you see a fly, you ignore it (or try to kill it!) but with this exhibition you start to notice details and specific sights. 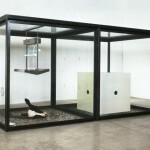 The thing that stood out to me was the Butterfly Room [In and Out of Love]. 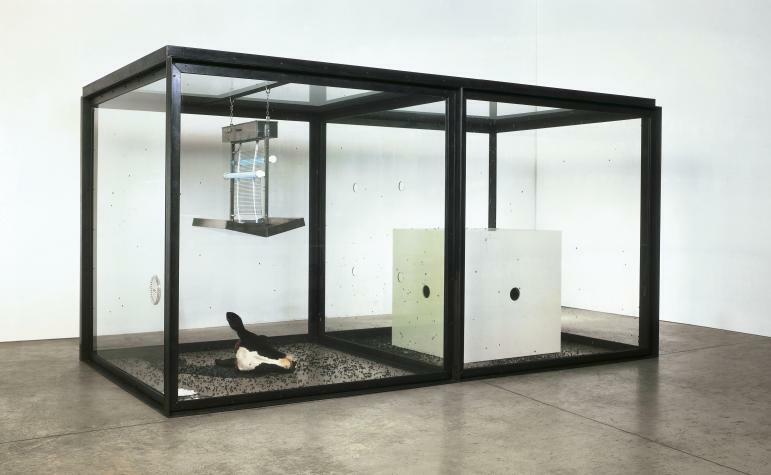 I thought the butterfly room in the Damien Hirst exhibition was flabbergasting. I, and everyone around me was amazed, even though it was a shame that hundreds of butterflies pull themselves from their cocoons only to die, surrounded by gawping visitors. I found it amazing that the wings of the butterflies were ugly and boring patterns on the outside but as soon as they opened their wings suddenly there was a magnificent pattern almost like someone had spent years and painted a lovely oil painting. Another favorite was the half cow [Mother and Child Divided, 1993]. Interestingly from the documentary I think this was the second attempt because the first one he didn’t cut in a straight line! I really liked being able to look around and see the insides because normally you don’t get to see body parts like this. I really want to be a forensic scientist so this was my heaven! The diamond room [Judgement Day 2009], pill room [Pharmacy, 1992], Spin Paintings, and dots [Spot Paintings] were fun and quirky but not as quirky as the other parts of the exhibition. 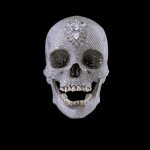 The best was The Love of God – a skull covered in diamonds! You have to queue for a little bit but it is SO worth it! They only let a certain amount of people in at a time which is good because then it’s not that crowded. When we were allowed to go in, there was three body guards. 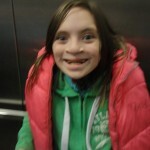 When you walk in there was people in there but my eyes instantly went to the teeth which are not covered in diamonds. The skull is … no words to describe it really! 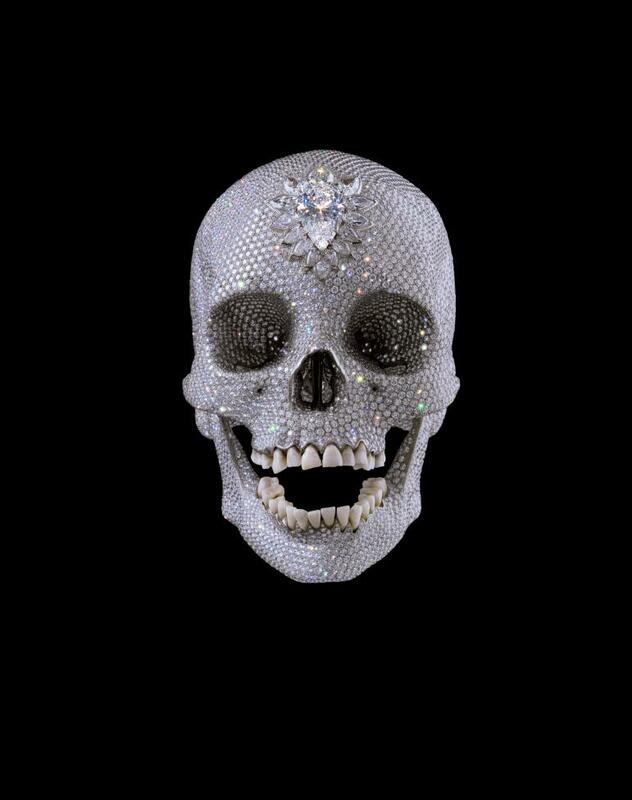 I could have stayed and looked at it for a long time as the longer I looked at it the more I started to noticed things like there were diamonds actually inside the mouth and everywhere. 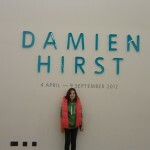 I recommend everyone should go to the Damien Hirst exhibition because it’s so amazing. It is probably best for 6+ as it could be a bit overwhelming for young kids. We are going back in August and I can’t wait! 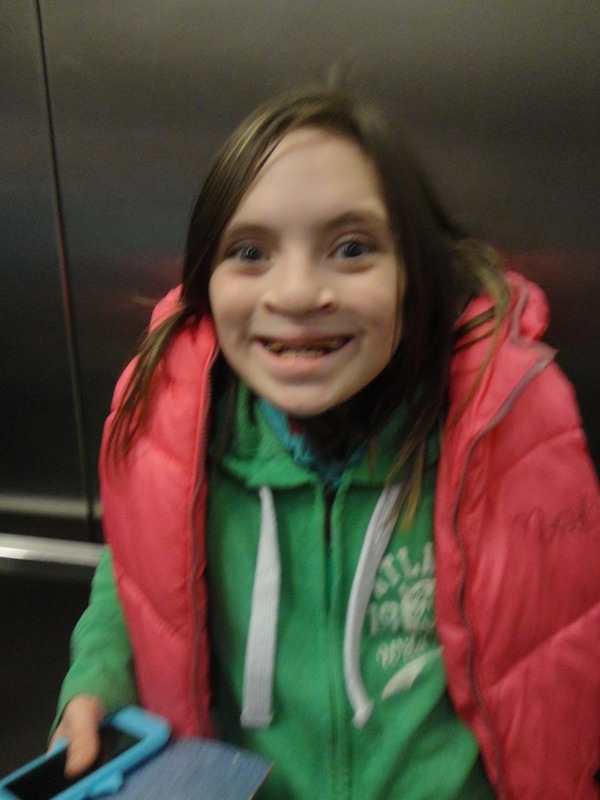 Well done Charlotte, a great review! I hope I get a chance to go!